Beyond Her Beautiful Looks Your Thai Wife Has An Inner Beauty. Inner Beauty Is A Great Reason To Choose A Thai Wife. A Thai wife will try at all times to keep a harmonious relationship. Thai culture loathes conflict. You can help by recognizing when she has a concern. Her calm, peaceful, inner beauty will not let her confront you directly so you must be sensitive to what she wants from you. In most cases a Thai wife will defer to you, as the head of the household, to make big decisions. She knows that in most disputes it matters very little in the end which side wins. Life will go on. Your Thai wife will happily embrace your decisions. However, There Will Be Times When Your Thai Wife’s Certain Her View Is Clearly The Best Choice. What Will Happen Then? Will she throw a tantrum? Will she yell at you? Will she stop talking until she gets what she wants? Will you finally walk away feeling stripped of your manhood? 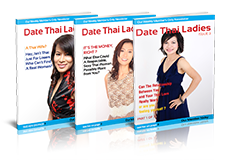 If you answered yes to any of those questions then you don’t know Thai women. A Thai wife’s never going to put down her own husband. That’s her man and he is to be cherished. So what will a Thai wife do? How Does A Thai Woman Avoid Conflict? 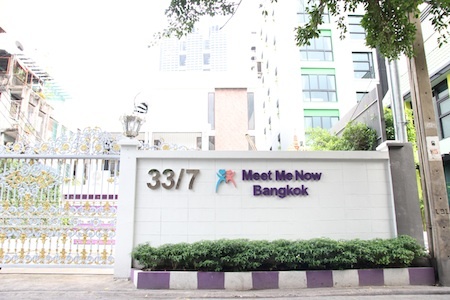 Your Thai wife is going to gently lead you down a path of self-discovery. If you listen carefully you should arrive at a harmonious agreement without losing your self-respect. Do You Love Your New Mother-In-Law? Your answer should be yes. Your Thai wife is actually telling you she wants to have her mom over for dinner. Unless there’s a super compelling reason why this shouldn’t happen you should respond positively. Thai women will often pose their wishes as questions because it is a less threatening way to express what they want. It gives you an opportunity to feel like the decision was really yours. But more than that, it lessens the chance of conflict in the relationship. Thinking Of Your Thai Wife? Make Her Reality! Can You Go Out With The Boys? But think how fortunate your are. Your Thai wife didn’t call you names or make fun of you. What she did is remind you of your date with her Saturday without causing strife in the family. It’s a subtle approach Western men greatly appreciate. How Should You Treat Your Thai Wife? At this point don’t be surprised if she insists you play cards with your friends Saturday. She wants you to be happy. Even so, you should switch cards to Sunday if that’s an option. Should You Accomodate Your Thai Wife? Why? Because she’s thinking of your well-being all the time. When you reconsider plans for your Thai wife, you honor her. Thai women, like women all over the world, are good at getting want they want. The benefit of a Thai wife in your life is you’ll always feel cherished.